Recently, I wrote about our need to guard against company logic. I argued that it is very easy for us as marketers to slip into a mindset that ignores the ultimate desires of the customer. This is a struggle experienced by all companies, big or small, new or old, well-known or unknown. 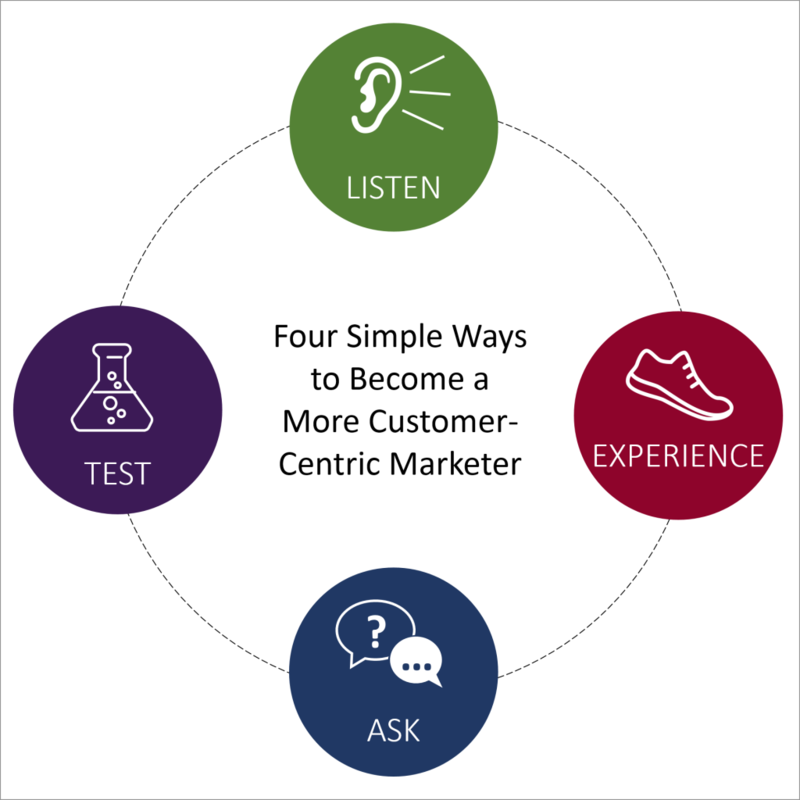 So, in the spirit of taking my own medicine, I would like to attempt being a little more customer centric and suggest four ways in which we can practically guard against company logic and become more customer-centric marketers. These are not the only four ways, but they are a good place to start. Learning the discipline of listening to your customer is essential for all marketers. This is where a marketer should always start. Listening to customers was once much more difficult, but today there is so much feedback our customer is giving to us. With the prevailing social dynamic of the Internet, our customers are constantly talking to us (directly or indirectly). We just have to make sure we are listening. Many marketers are tempted to fear social feedback. I mean, who really wants to hear someone else critique you? However, if we are really doing our job, we will embrace both pleasant and painful insights that we gain from hearing from the customer. It is so easy to become insular and solicit feedback only from our peers, but we must force ourselves to hear the customer’s feedback. Sometimes that comes in the form of them talking directly to us, and other times it comes in the form of customers talking to one another. Nonetheless, our customers are talking, and we must learn to listen. Another way in which we can foster a customer-centric mindset is to not just listen to the customer but also experience being the customer. What I mean by this is, we must put ourselves in the shoes of our customers by experiencing our own products and processes. When was the last time you tried to purchase something from your website? When was the last time you actually used the product you sell? Like a good chef, marketers must taste test their own food. By simply putting yourself in the experience of the customer, you will naturally feel their pains and pleasures. You will be able to empathize with them much better. It is this posture of empathy that is at the heart of customer-centric marketing. The best marketers do not just “know about” their customers, the best marketers, in a sense, “become” their customers. One of the easiest ways to foster a customer-centric mindset is to simply engage your customers. We so often take complicated approaches — using an endless number of tools — to try to measure and understand our customer, when we literally could just pick up the phone or send an email and ask our customers for feedback. It is not a perfect method, but it is often very insightful. There are many ways to do this. You can ask directly as mentioned above; you can organize a more formal focus group approach. You can run a simple survey in which you solicit feedback from as many of your customers as possible. Often times when I am working with a company trying to understand customers rapidly, I interview the customer service representatives or the sales team. Often, these individuals are so close to the customer that they can answer for them. When faced with a gap in your understanding of the customer, don’t forget that you can just ask. Finally, probably the most effective way to empathize with your customer is to test your customer. That may sound strange, but remember it is one thing to hear what customers have to say, it is another to observe how they actually behave. Anyone who has done any behavioral experimentation knows about the disconnect between what people think they will do and what they actually will do. 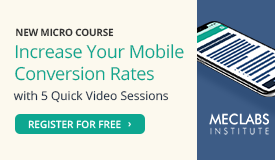 Today, A/B testing is very common. But what I have noticed is that marketers mostly conduct testing to understand which kind of marketing collateral will generate the greatest response. The opportunity that is often missed in our experimentation is the opportunity to learn something about our customer. 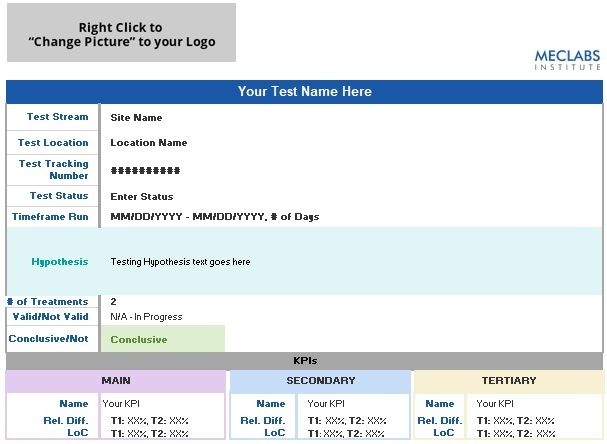 The goal of the test should be more than just to get a numeric lift, but rather to gain insight about the customer. Never before in the history of customer relationship have we been able to so rapidly peer into the cognitive processes of our customers. The Web has become a most robust laboratory for us to test and understand what truly matters to the customer. Yes, customers will speak with their words, but they ultimately speak with their actions. In the end, we must realize our tendency to think primarily from our own perspective, and not the perspective of our customers. Because of what I do, I have the privilege of sitting and working with many marketing teams as they try to figure out their marketing strategy. There’s hardly ever a shortage of voices in those conversations. However, there is often one voice missing from the table: the customer’s voice. There are many ways in which we can bring the customer’s voice to the table. We can listen to social media, and we can put ourselves in the shoes of the customer. 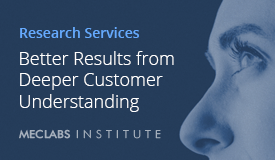 We can survey and interview our customers, and we can even run behavioral experiments with our customers. All these are valid methods for dispelling company logic and embracing customer logic. It really doesn’t matter which method a marketer uses, as long as the marketer is doing everything they can to see through the eyes of the customer. Austin McCraw, Senior Director, Editorial Content, MECLABS From Web clinics to certification courses, Austin works behind the scenes to bring our research analysts’ discoveries to our audience in clear and creative ways. Before joining MarketingExperiments, Austin was the Promotions Director for a PBS affiliate in Gainesville where he was in charge of publicizing local and national programming. A graduate of the University of Florida’s College of Journalism and Communications, Austin specializes in new media and video production by day and producing family memories with his wife and two children by night.